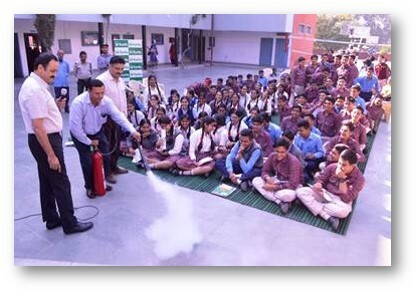 As a part of Fire Safety Week, an awareness session on Fire Safety Measures was organized for the students of classes 9th and 10th, support staff and teaching staff of DAV Public School, Chandigarh. 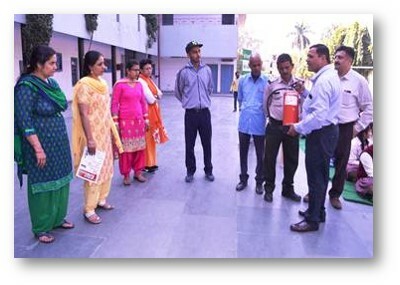 Mr Surender Mahta, Chief Security Officer, Mr Neeraj Tandon, Senior Manager, Engineering and Maintenance, and Mr Rajinder Singh, Fire Safety Officer, conducted the session. About 135 students and staff members attended the session.